David joined the Best Times team in January of 2016. While originally hired as an intern, he has progressed to the position of Planner Assistant. His responsibilities include preparing documents for client meetings, updating and entering data into multiple databases, and educating clients on the use of their personal wealth management website. 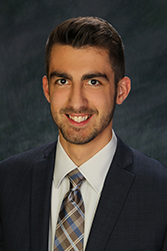 David is currently a junior in college pursuing a BSBA in Finance. He enjoys taking missions trips, being active with his churches’ outreach ministries, singing, and sports of all types.